Every dog is special in his own way. German Shepherds are natural guard dogs, extremely protective and gentle towards their owners, but fierce when the situation asks for it. Golden Retrievers are goofy, tireless and friendly with anyone that gives them the slightest bit of attention. Beagles are quite similar to Retrievers, the only difference being that they will wreak havoc in your house if you do not give them the proper attention. Shiba Inus, while playful and generally friendly, are proud, stubborn and hard to control, similar to cats. Even those couch potato breeds like the Maltese or Shih Tzu love toys and adore playtime especially if you are part of it. 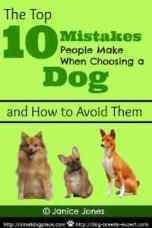 Regardless of their temperaments, the one thing characteristic that all dogs share is their love to play and stay active. If their favorite toys come into the mix, all the better. Good toys encourage your dog to exercise. Playing a game of fetch with our dog is one of the easiest way to provide exercise. What better way to bond with your dog is with an interactive game. Intellectual stimulation is important for our dogs and many toys provide a mental challenge almost as good as a training session. 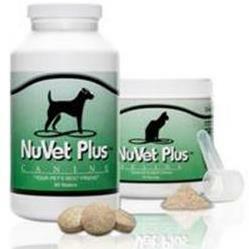 Reduces stress and anxiety and encourages calming behavior. Some toys provide dental benefits. But since there are so many options on the market, we have comprised a short list of tips and recommendations to make your life easier. Just like our musical or food preferences change as we get older, so does the dog’s toy partiality to certain toys as he progresses through his life stages (puppy, adult, senior). Highly energetic and airheaded puppies would need sturdy chew toys to counteract the discomforts of teething. An adult dog, on the other hand, might prefer soft toys that he could grab without using his teeth. To keep them active and satisfy their chewing urges at the same time, rope toys are especially useful for puppies, as well as for young adult dogs. Senior dogs, after of lifetime spent running around and bugging you, will prefer toys that he could play with while sitting in one place. For a better understanding of dog’s life stages and if you want to read lists of the best pet toys reviewed, we warmly recommend ToyPetReviews, a specialized blog that deals with a wide variety of subjects related to dog care. Similar to wolves, domesticated dogs see toys as prey, for obvious evolutionary reasons. They will jump, sit, roll around and tear it apart to the point where the newly acquired toy that you spent your hard money on is almost unrecognizable. And if the toy tastes like food and/or make a noise, your dog will destroy it in a matter of days. So, the best approach is to buy durable toys that are able to withstand repeated abuses. Usually, indestructible rope toys are made out of hard nylon or rubble. However, even indestructible toys have to be occasionally replaced – after a few months, some of them develop rough or sharp edges that could injure your dog. A good rule of thumb is not to purchase toys that look like ordinary household objects. This includes shoes, scarves, kid’s toys and so on and so forth. You certainly do not want your dog associating your precious objects with their toys. 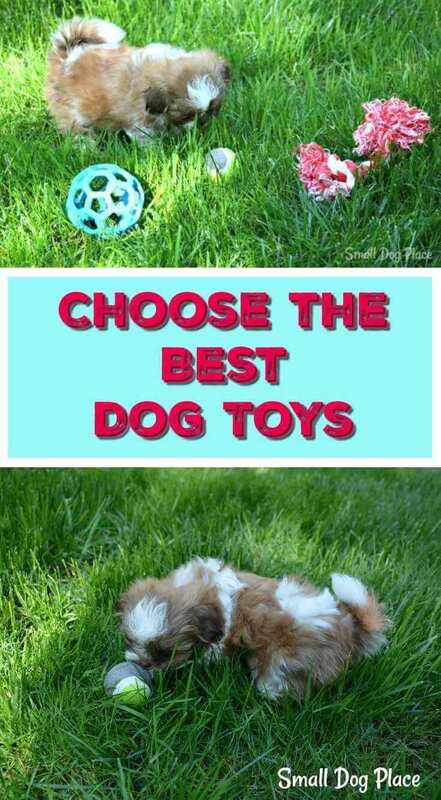 It goes with question that small dogs will do better with small toys and the same holds for large breeds. Toys that can fit into the mouth and be carried around are safe. If the toy is too small for the dog, it poses a choking hazard. If it is too big, the dog won't be able to manage it. For most toys, that is the case, but don't restrict yourself entirely matching the toy's size to that of the dog. Sometimes small dogs like a big challenge and as long as the toy is lightweight and easy to put into the mouth, you may find that the bigger the better. An example of this type of toy would be a long snake like toy. After awhile you will notice that your dog will have a preference for one or two toys. But before that occurs, your dog is likely to play with a wide assortment of interesting toys. Dog toys get more sophisticated all the time, so providing variety is very useful. Even within toy categories you'll find many choices. Balls are a favorite for many dogs. Plush balls, tennis balls, foam balls, rubber balls, ball and rope toys, squeaky balls, floating balls, glow-in-the-dark balls - Well, you get the idea. Don't forget to add a ball or two to your dog's toy collection, and for an extra challenge, purchase a ball that bounces in different ways. If your dog loves to play fetch, consider a disc type toy as an alternative to the ball. Small dogs have a hard time with the standard size Frisbee, but do well with a smaller, lightweight version. The Chuckit flying squirrel is a favorite among dogs and is a great alternative to a Frisbee. One of many best dog toys, the rope toy provides hours of safe chewing and can also double for a gentle game of tug of war. Rope toys are very popular with many dogs. They can be used as a chew toy or tug toy. Rigorous tug of war games are discouraged by some trainers as they claim it can lead to aggression. Don't rule out rope toys just because of this precaution. There are gentle ways of playing with rope toys that won't hurt your dog. Soft plush toys are often favorites with small dogs and can also be used as comforters. Some dogs love to sleep with a plush toy. There is a wide range of plush toys, so be picky when choosing one for your dog. Dogs love toys that they can tear apart but these types of toys can be dangerous. Cheaper ones tend to tear apart very easily, even when tiny dogs are using them. They can also be dangerous if made with a filling material that can be chewed and swallowed. Soft toys without the stuffing may be a safer bet. Some of these toys come with squeakers or have an opening where one can insert an empty plastic water bottle. Crinkly materials are often sew inside to make an interesting sound when the dog plays with it. It is best to supervise play when your dog is interacting with plush toys. Hard plastic or nylon chew toys are indispensable if you have puppies. Even older dogs enjoy chewing. Finding safe objects that dogs can chew on is no longer as difficult as it once was. Rawhide bones, once the mainstay of dog toys are no longer recommended because of their choking hazard and possible harmful ingredients. Nylon toys that have been infused with flavors such as bacon, chicken, beef and peanut butter are just some of the flavors available. These toys also double as a dental aid. Dogs love to be challenged and put to work, so it is a good idea to buy toys that encourage interactivity and engagement. Even if you buy the fanciest toys on the market, you cannot substitute human-dog interaction. This toy will trigger your dog’s senses. It comes with an intricate internal maze that can be filled with treats. As your dog pokes, nudges and rolls it around, the ball will make rattling noises that will stimulate your dog. It is easy to use and clean, and you can even safely put in in the dishwasher. A simple, yet useful toy that your dog will go crazy for. It is slightly squishy and can be easily grabbed without using the teeth, a feature that your adult dog will surely appreciate. The toy can be filled with all kinds of treats to incentivize your dog to play with it. AFP Interactive Food Maze. As you have probably guessed from its name, this toy is an interactive maze game, sort of like a puzzle for dogs. It is great for teaching your dog healthy eating habits in a fun way because they will love biting and licking the crevices of the maze until they reach the food. But again, regardless of how expensive and advanced the toy is, dogs will love pretty much any plaything as long as you play with him. You can take his favorite toy and play a little game of hide in seek – place it in a random spot and encourage him to find it. Even better, you can plant a little treat in the said spot as a bonus for his efforts. Due to their friendly and gentle nature, dogs are one of the best companions a human could have. Dogs, apart from being great companions, have been scientifically proven to ease symptoms of depression and can contribute to better health overall. So, you have to throw them the metaphorical (and literal) bone and provide them with a wide assortment of toys to keep them both happy, and healthy. Hopefully, this article will provide you with some insight and help you find the best toys for your dog. Technology For Dog Owners: Areas Worth Investigating.